Driving down Route 10 on our way through Oklahoma, I see something out of the corner of my eye and make a quick right turn onto Machine Shop Road. At first I think the seat is from an old car, but as we get closer I noticed it is a black leather couch. At one time it probably was a stylish place to sit. 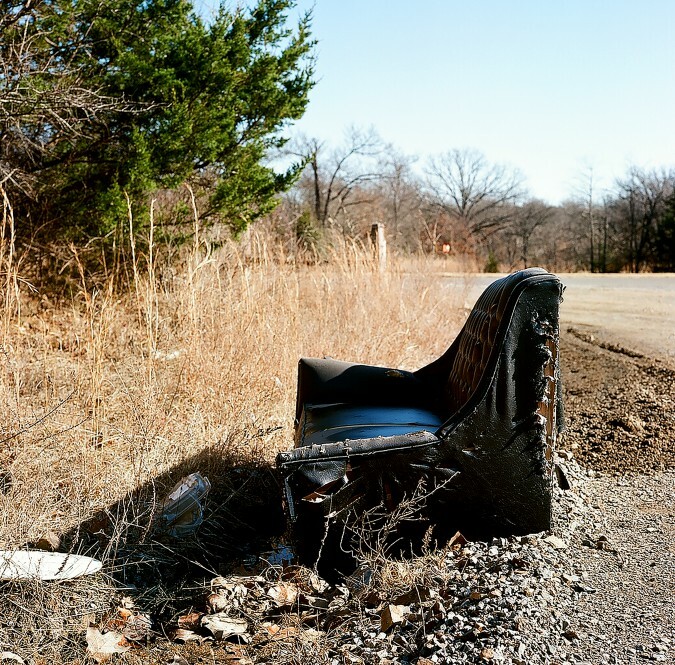 However, now, with all its tears, scrapes, and broken bones, it sadly sits alone, abandoned on the side of the road.